By all accounts, friendship with the King Louis XIV was extremely beneficial for duc de Villeroy’s career. Namely, duc de Villeroy was appointed Marshal of France (Maréchal de France) in 1693, although he previously had no notable commanding experience. On this day in 1730, French Marshal François de Neufville, duc de Villeroy died. 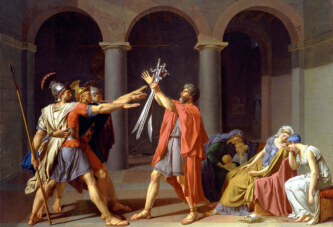 He was one of the most prominent aristocrats throughout France in the time of Louis XIV (the Sun King). Indeed, duc de Villeroy used to play with Louis XIV as a child because the duc’s father (Nicolas de Neufville) was governor of the young king. The two of them allegedly played in Paris as boys, in the area of the royal palace named Palais Royal, near the Louvre. In addition, boys were spending time together in the private Parisian palace belonging to duc’s father (Hotel de Villeroy), which was also in the vicinity, only a few hundred meters from the Louvre. By all accounts, friendship with the King Louis XIV was extremely beneficial for duc de Villeroy’s career. Namely, duc de Villeroy was appointed Marshal of France (Maréchal de France) in 1693, although he previously had no notable commanding experience. King Louis XIV appointed him the supreme commander of the army in Flanders, which proved to be bad for French interests in the long run because the duc suffered military defeats. Despite this, the king subsequently gave him command in Italy, where he was defeated again, this time by the famous Prince Eugene of Savoy. Finally, Marshal duc de Villeroy was defeated in the great Battle of Ramillies by the famous British commander the Duke of Marlborough. After this severe defeat, he was no longer given any command. However, he remained on good terms with the king. 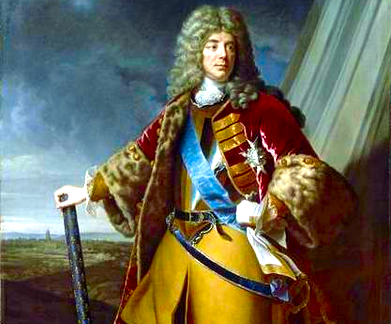 Duc de Villeroy outlived Louis XIV and became governor of the child King Louis XV, who was the great-grandson of the late Louis XIV (the duc’s father was also the king’s teacher). Duc de Villeroy died at the age of 86, in Paris, precisely on this day.